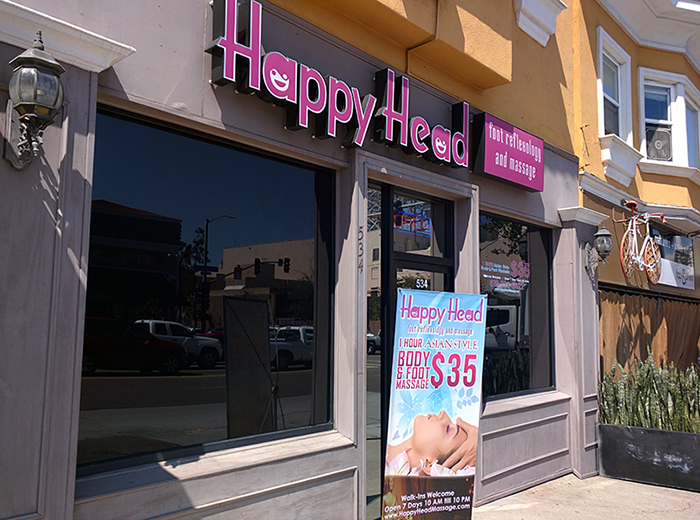 Located next to the Hillcrest sign, this is the original Happy Head which opened in 2011. Close to Hotel Circle, Balboa Park, and the San Diego Zoo. There are great local shops and restaurants. Parking is street parking.